QSC and Shure have expanded the level of integration between Shure Microflex Advance and Microflex Wireless microphones with the entire Q-SYS Platform. The partnership includes the release of new control plugins for the Shure MXA910 Ceiling Array Microphone and Microflex Wireless microphone systems. The latest Q-SYS Designer Software v5.3 update enables a multitude of audio connectivity options including audio integration via Dante, analog audio, as well as AES67. The Shure MXA910 Control plugin, co-developed by QSC and Shure, allows a myriad of different audio control, preset recall, and monitoring functions on the MXA910 from the Q-SYS platform using Q-SYS peripherals and touchscreen controllers. Because the MXA910 control plugin is decoupled from the audio integration method in Q-SYS, it lets the integrator use the plugin for control while being able to choose between different audio transport methods, whether that be via analog audio using the Shure ANI series, the Q-SYS Dante Bridging card, or the newly introduced AES67 software support on the Q-SYS Core processor series. By using AES67 as the audio integration method, every Q-SYS Core processor in the platform can be easily integrated with the MXA910 without any additional hardware bridging devices or software licenses. This includes the Q-SYS Core 110f, offering cost-effective pairing of DSP, AV bridging, and control with its 16 channels of AEC, which can accommodate up to two MXA910s in a single rack space over a single network connection. The setup guide, also co-developed by QSC and Shure, provides step-by-step instructions on how to integrate the MXA910 with Q-SYS using AES67 for networked audio streaming and the built-in plugin for control and monitoring of the MXA910 from Q-SYS. 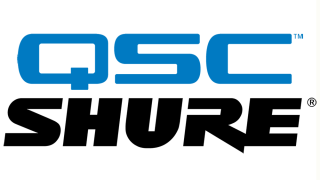 Furthermore, because Q-SYS is a software-based audio, video, and control Linux realtime operating system (RTOS) platform, it will enable QSC and Shure developers to expand the library of control plugins to other Shure products and allow integrators to incorporate them into future designs with a software update. The Shure MXA Control Plug-in and setup guide will be available with the release of Q-SYS Designer Software v5.3 in this month.